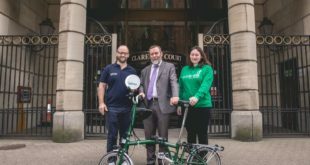 Following the folding of Way2Pay, Actsmart has said its Ride It Away cycle finance solution can step in for any retailer who has been left without a finance facility. ActSmart’s Tony Jones told BikeBiz: "Moneyway is part of Secure Trust Bank and as lending specialists they recognise the need for a secure, trusted partner and a quick and easy process to obtain decisions, enabling the customer to walk away with their purchase within a matter of minutes. "Moneyway’s online system allows you to easily capture shop’s customer’s details and will give you an instant credit decision, eliminating the need for long telephone calls and form filling. On acceptance of credit the system will automatically produce the finance agreement, enhancing customer service and eradicating documentation errors that slow down payment. "The funds are then released direct to the retailer, unlike many other providers of consumer credit where the retailer promotes the use of unsecured loans for the customer to purchase a product elsewhere upon receipt of the funds. "Ride It Away cycle finance, in partnership with Moneyway, provides a true retail finance option for specialist retailers to use as a sales tool," Jones added. Cycle retailers looking for more information should visit the ActSmart site or call the organisation on 0845 618 7256.